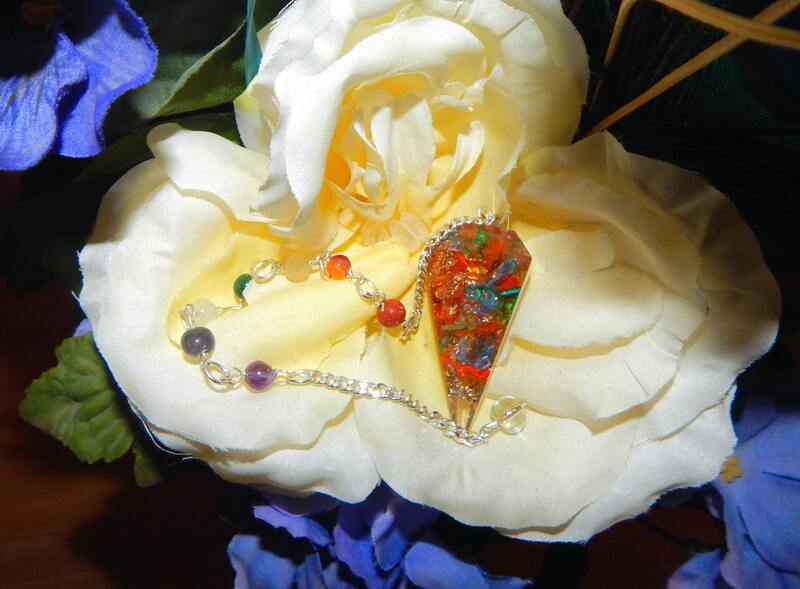 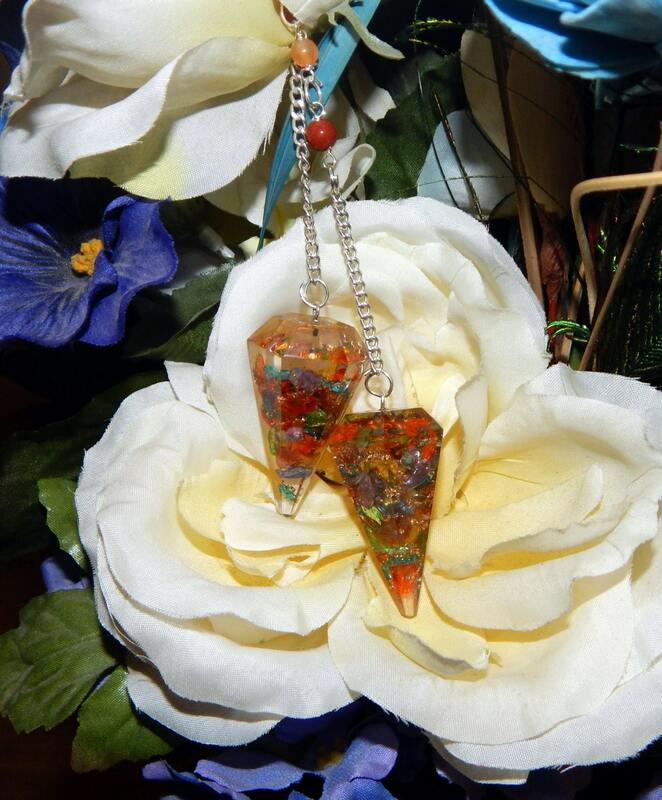 A stunning gemstone chip and copper Orgone pendulum with gemstone bead adorned chain approx 7' long, colors and stones corresponding to all chakras. 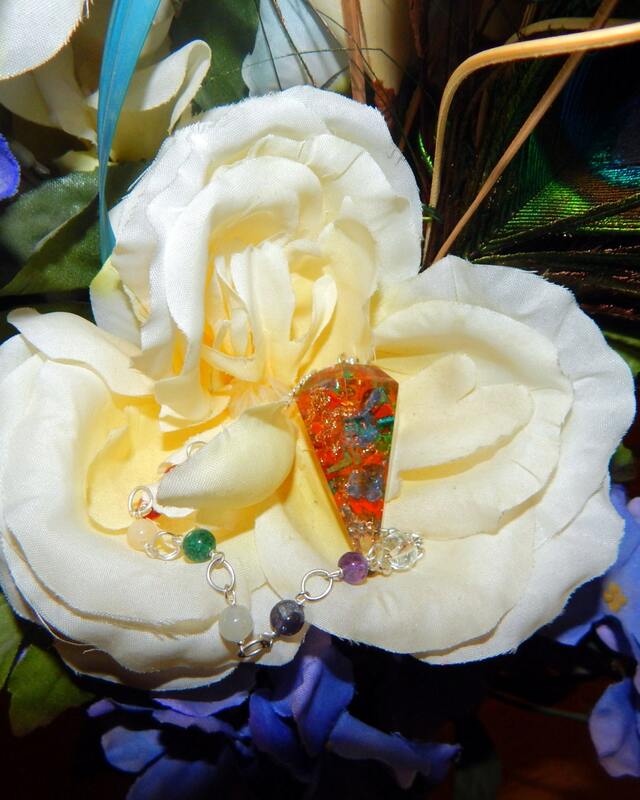 Natural gemstones. 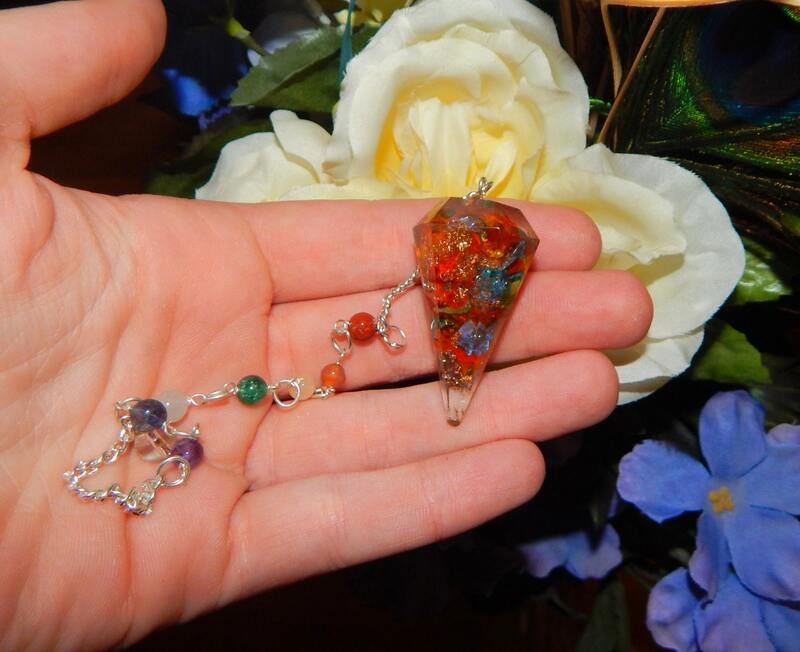 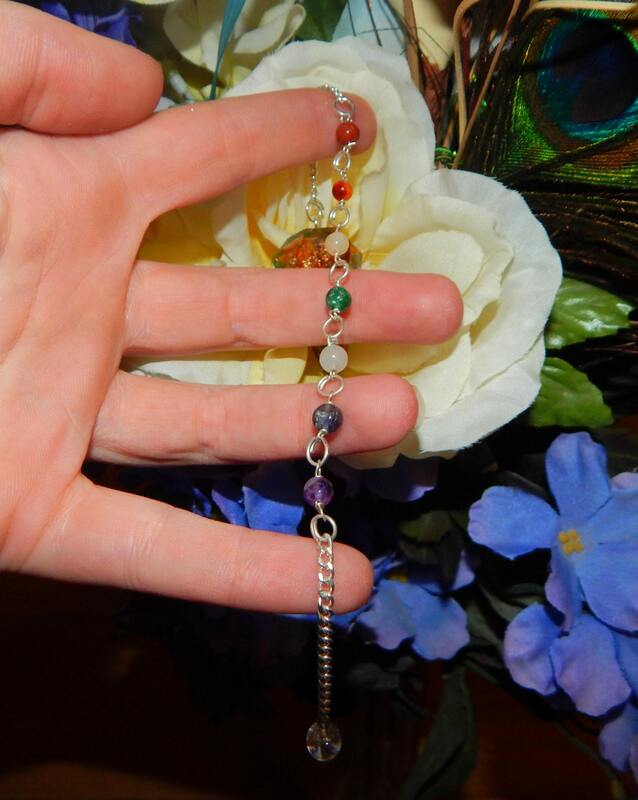 This pendulum is perfect for dowsing or divination!